The archangel Michael is usually depicted slaying a dragon. The Catholic Church only recognizes the three angels mentioned by name in canonical scripture; Michael, Gabriel and Raphael. 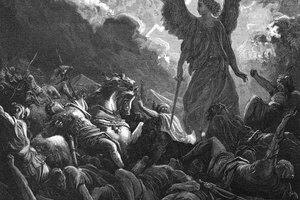 However, as the Bible often refers to these angels as "one of the seven," it is often assumed there are four more archangels, all of whom may be named in apocryphal text. 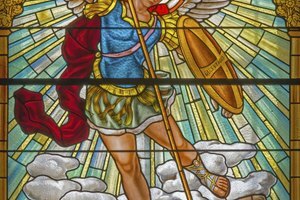 The archangel Michael, whose name means "Who is like God," is often called the prince of angels, and his name is the war-cry of good angels in battles against Satan and his followers. He is mentioned five times in the Bible; three times in the Book of Daniel, once in the Book of Revelations and once in the Epistle of Jude. In art he is depicted as a warrior with helmet, sword and shield, sometimes baring his name in Latin, "Quis ut Deus." He usually stands over a dragon, spearing it with a lance and holding a set of scales or the book of life to symbolize his role in the final judgment. Gabriel is mentioned four times in the Bible; twice in Daniel and twice in the New Testament, when he foretells the birth of St. John the Baptist to Zachary and when he foretells the birth of Jesus to Mary. Therefore St. Gabriel is often considered the messenger angel, and it is assumed that Gabriel is also the angel who, unnamed in the New Testament, appeared to Joseph to assure him Mary's child was the son of God, appeared to the shepherds and strengthened Jesus in the Garden of Gethsemane. 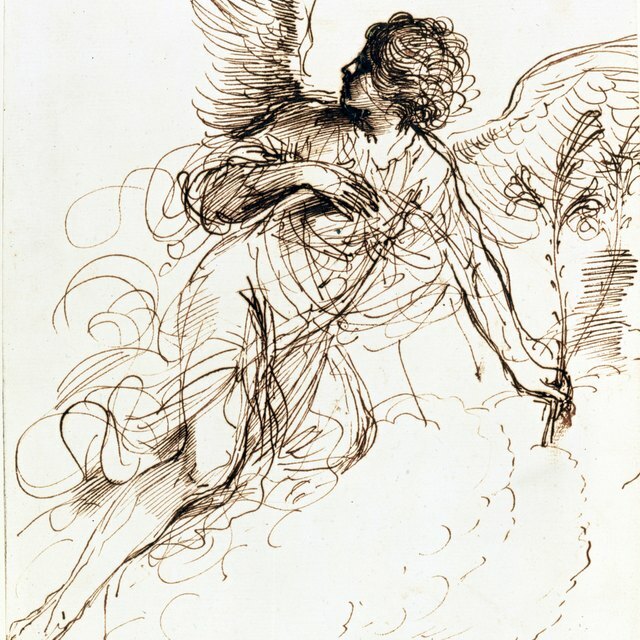 Gabriel's Latin name, "Fortitudo Dei," means "Strength of God." Raphael is only mentioned once in the Catholic Bible, in the Book of Tobit. 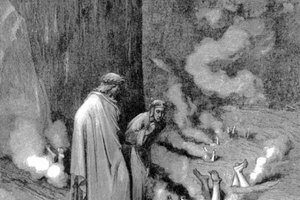 In Tobit, Raphael disguises himself as a human in order to protect Tobit's son, Tobiah, on a journey during which they have many adventures, including the binding of a demon. It is only at the end of the journey that Raphael reveals himself as "one of the seven, who stand before the Lord," a phrase regularly associated with the archangels in the Bible. It is also assumed Raphael is the unnamed angel in John 5:1-4 who moves the water at the pool of Bethesda. Raphael's name means "God has Healed." Although the Catholic Church only recognizes three archangels canonically, one can assume there are at least four more due the regular references that they are each "one of the seven." The apocryphal text the Book of Enoch includes the names of several other archangels: Uriel, Raguel, Sariel and Jerahmeel. Of all of these angels, Uriel is likely the most popular and was mentioned frequently by Church leaders in the Early Christian Era and in the Book of Esdras; however, neither Uriel nor the other angels are considered part of the Catholic canon. Brandstatter, Tasha. 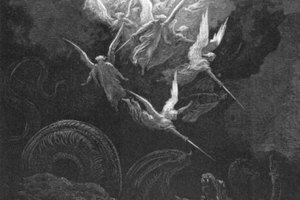 "Archangels in the Catholic Church." 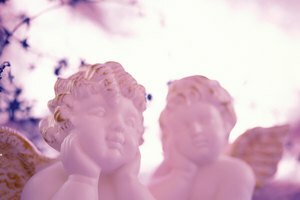 Synonym, https://classroom.synonym.com/archangels-in-the-catholic-church-12087011.html. 29 September 2017.